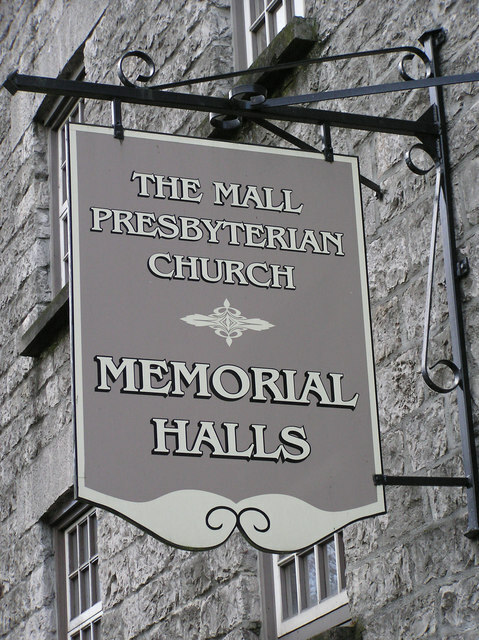 This Congregation came into existence on 7 November 1837 following differences of opinion within 1st Armagh congregation concerning both the political and theological views of their minister, Rev. P.S. Henry. Some sixty families had recorded their concerns and were erected by the Synod of Ulster Armagh Presbytery as a new congregation to be known as ‘Second Armagh’. The new congregation set about two tasks – finding a minister and funding the erection of their new meetinghouse. The first task was accomplished on 13 June 1838 with the installation of Rev. John R. McAlister as the minister of the new congregation. His was an inspired choice – active, able and enthusiastic he led the new congregation to great achievements. The meeting house was opened on 11 February 1840 by Rev. Dr Henry Cooke and the title ‘SCOTCH CHURCH’ engraved above the entrance as a testimony to the congregation’s commitment to the historic Presbyterian and Reformed understanding of the Christian faith. Its location led to the local name ‘The Mall’ which was to become its official title over a century later on 8 June 1953 when the General Assembly approved the change of name. The official name changed much sooner than that because in the summer of 1840 the Synod of Ulster and the Secession Synod united to form the General Assembly of the Presbyterian Church in Ireland and the Secession Church in Armagh, being older than The Mall became ‘Second Armagh’ and ‘The Mall’ reverted to ‘Third Armagh’. Rev. McAlister’s ministry continued until his death in 1871 and was much used during the Revival of 1859 bringing substantial increases in membership and attendance. He was succeeded by Rev. J.B. Meharry who ministered in the Mall until 1875 when he moved to England, eventually becoming Moderator of the Presbyterian Church in England. Next to serve here was Rev. John Elliott who continued until his retirement in 1892 and was much interested in Presbyterian history. Then came perhaps the most widely known of The Mall’s ministers, Rev. R.J. Patterson, better known as ‘Catch-My-Pal’ Patterson. A great social reformer, he founded the Protestant Total Abstinence Union, better known as the ’Catch-My-Pal’ Movement which had a tremendous influence for good and for God on men throughout the years from 1909 to 1939 especially in the English-speaking world. R.J. Patterson resigned from the Mall in 1910 to give himself full-time to this work. It would be difficult to overstate his contribution in opposing what was one of the greatest social evils of his generation. Patterson was followed by Rev. David Graham who served here from 1911 until 1939. His ministry included the union of the Second and Third Congregations in 1916 and the installation of a pipe-organ in the meetinghouse in 1937 to mark the congregation’s centenary. In 1939 Rev. William Boyd came to the Mall where he remained until 1950 when he went to 1stLisburn, becoming Moderator of the General Assembly in 1967. He had served as an Army Chaplain during World War II. In 1950, Dr Boyd was succeeded by Rev. J.C.M. Anderson who remained in the Mall until his death in 1980. During his ministry, there was substantial house-building in Armagh City and the Congregation grew substantially from about 150 families to over 300. Rev. Anderson was succeeded by Dr John W. Lockington who enjoyed a successful ministry during very difficult days in Armagh and removed to Gardenmore, Larne in 1989 becoming Moderator of the General Assembly in 1999. 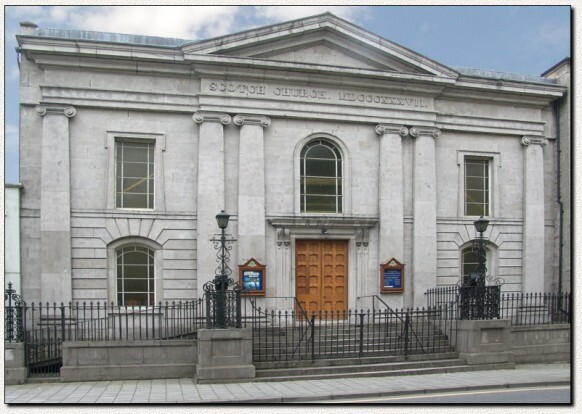 His successor was Dr Joseph Thompson who came to the Mall in 1990 and who oversaw, during his ministry, the erection and payment for the present excellent range of halls known as ‘The Memorial Halls’ retaining the link with the old meetinghouse in Abbey Street which had been renovated as a Church Hall during Dr Boyd’s ministry as the congregation’s Second World War Memorial. These provide excellent facilities for the congregation’s extensive youth and children’s work. The present minister, Rev. Peter Gamble, who came in 2005 following Dr Thompson’s retirement in 2003, continues the tradition of faithful gospel preaching, outreach to the community and care for the needy, both spiritually and physically, which has marked the Mall since its formation.